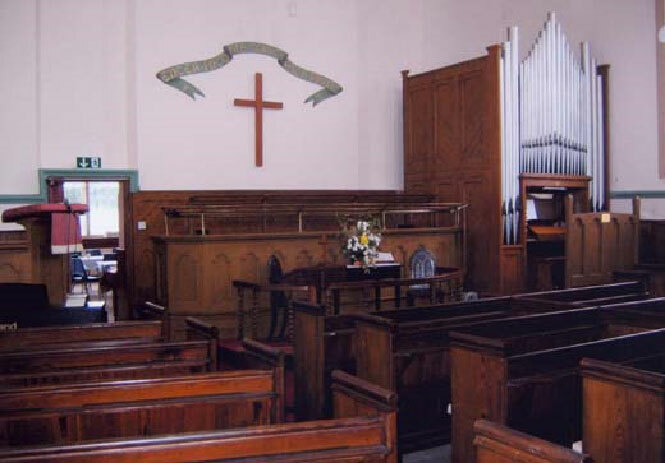 The interior of Mere Methodist Church in 2007. 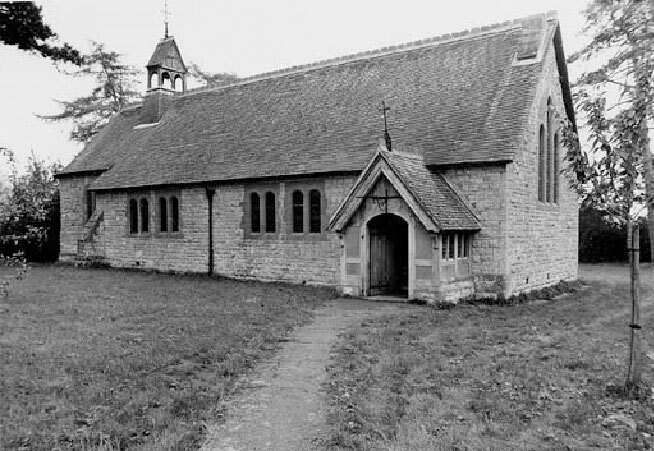 St. Benedict’s Chapel at Bonham, Stourton. This was a Roman Catholic chapel until 1946. It is now part of a private house. 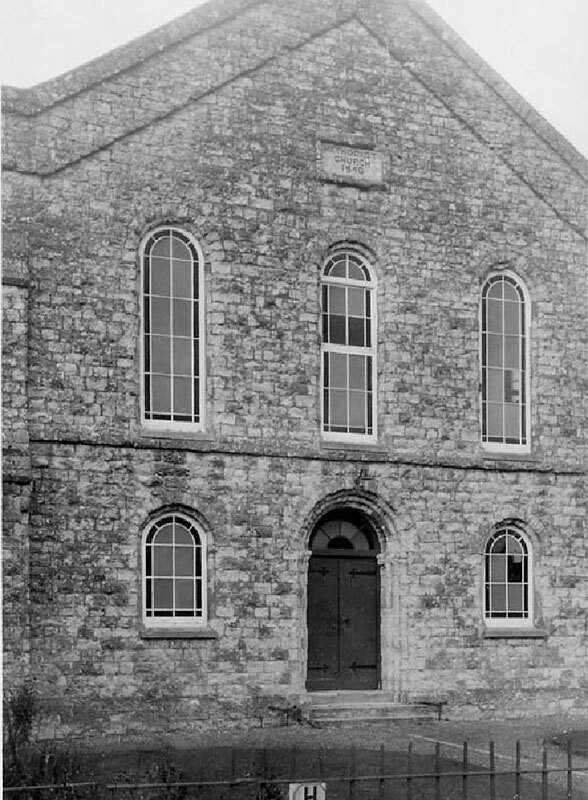 The Methodist Chapel in North Street, Mere, built in 1846. 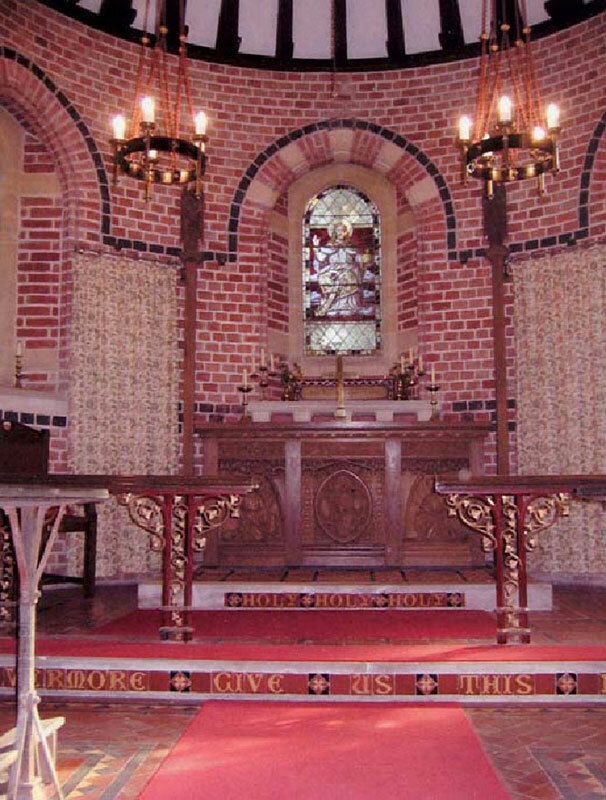 The sanctuary of St. Matthew’s Church, Mere, just before its closure in 2004. 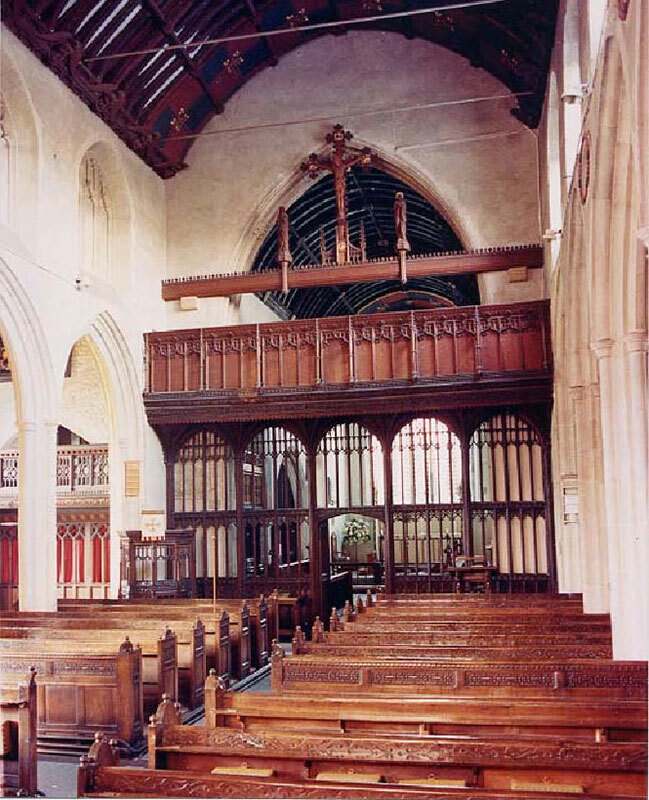 A modern view of Mere Parish Church interior. 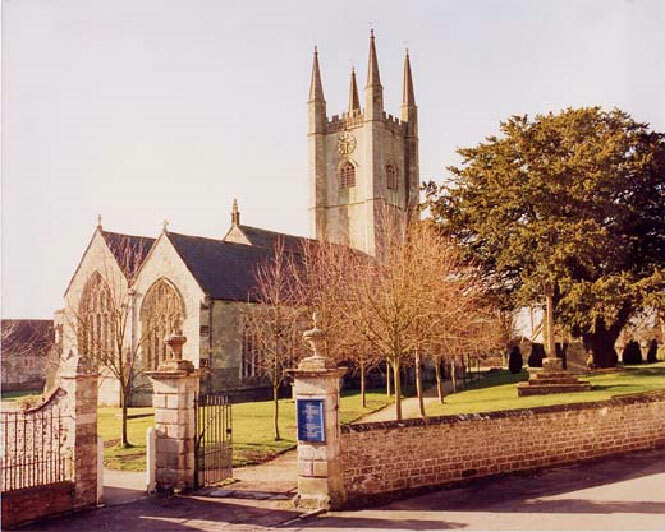 The pews are very fine mid-17th-century work and they are now all furnished with excellent, locally-made hassocks. Repairing the S.W. 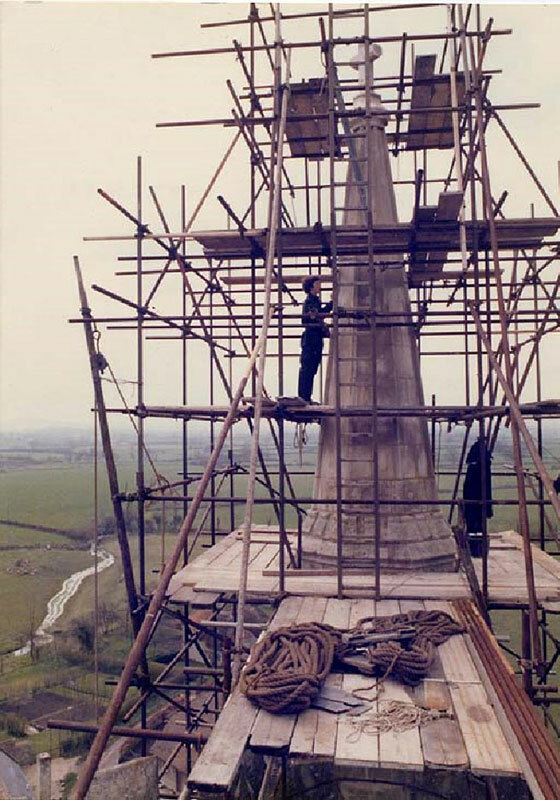 pinnacle of Mere Parish Church tower in 1979. The pinnacle was struck by lightning in 1977. 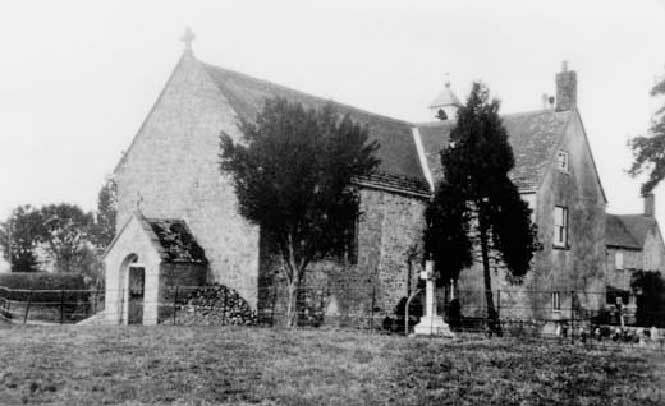 A late 19th-century view of Mere Parish Church. 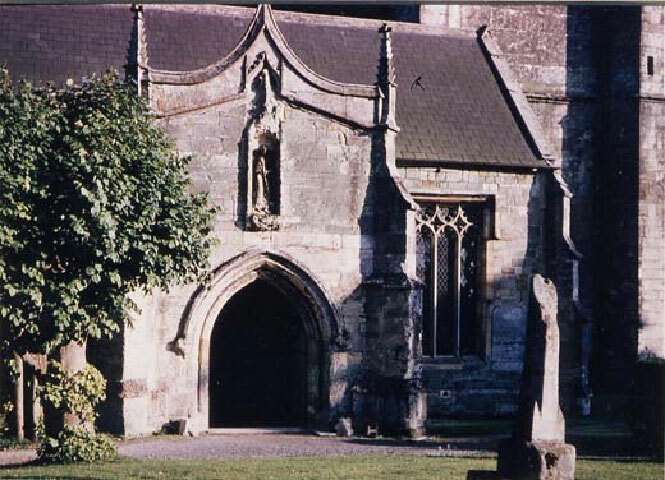 The north porch of Mere Parish Church. In the alcove above the door is a statue of St. Michael which may date from the 14th century. 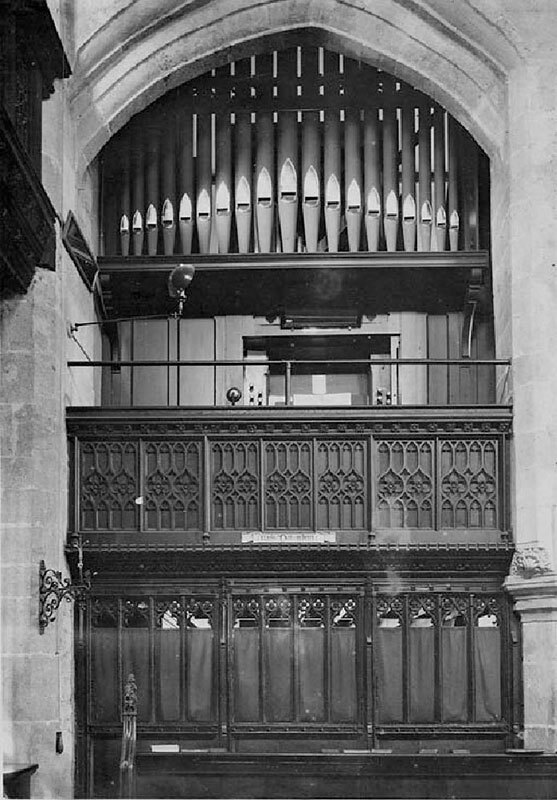 The organ loft in Mere Parish Church, Mere in the early 20th century. The former Congregational Church in Mere, built in 1852. 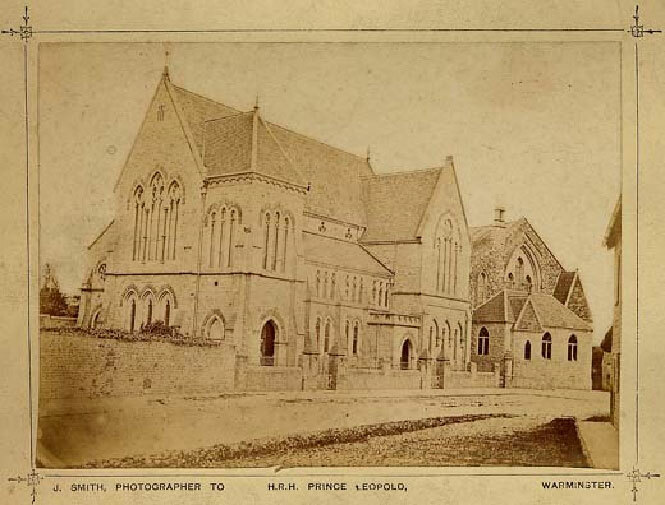 It was later used by Mere Junior School, then as a furniture depository and now as a warehouse. 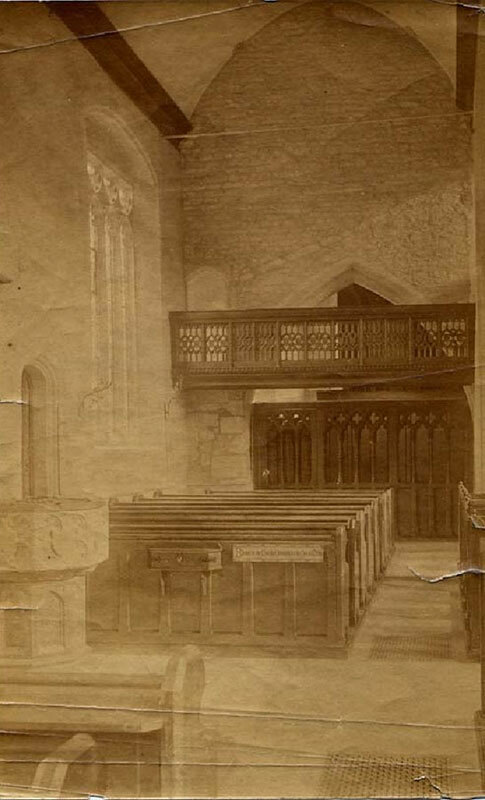 An early 20th-century view of the north aisle in Mere Parish Church showing the font by the North door and a balcony on which there are shields bearing coats of arms relating to the various alliances of the Stourton family. 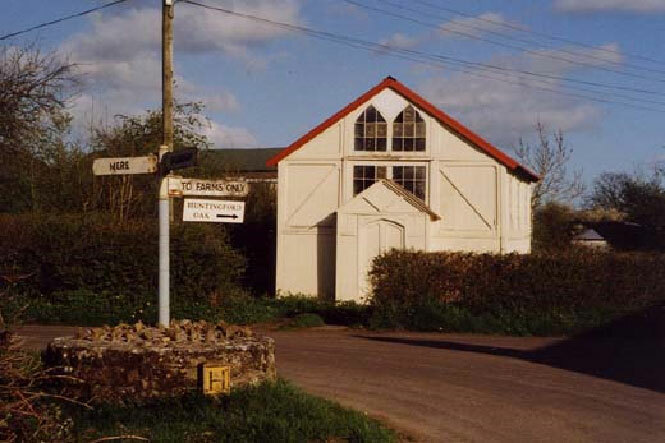 The tiny former Congregational Chapel at Huntingford, near Gillingham. For many years after it closed as a place of worship it was used as a store by a local farmer. It is now refurbished and used as a holiday cottage. St. Mary’s Roman Catholic Church, Pettridge Lane, Mere. 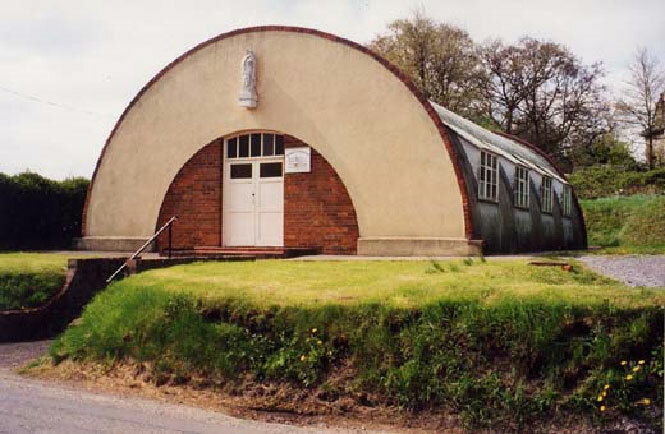 It was converted from a Nissen hut and opened in 1946. 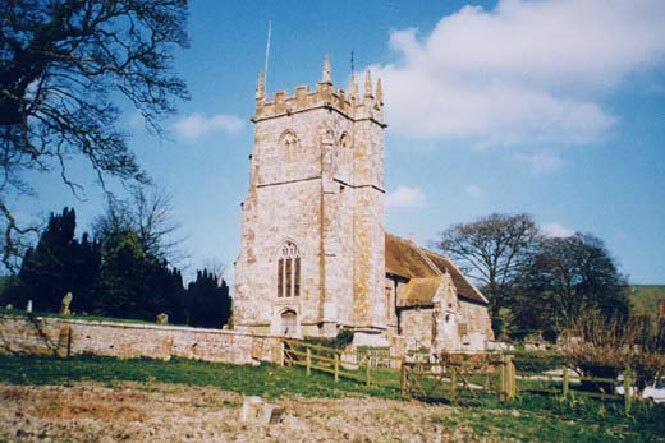 The Church of St. Mary the Virgin, West Knoyle, part of the benefice with Mere and Maiden Bradley. 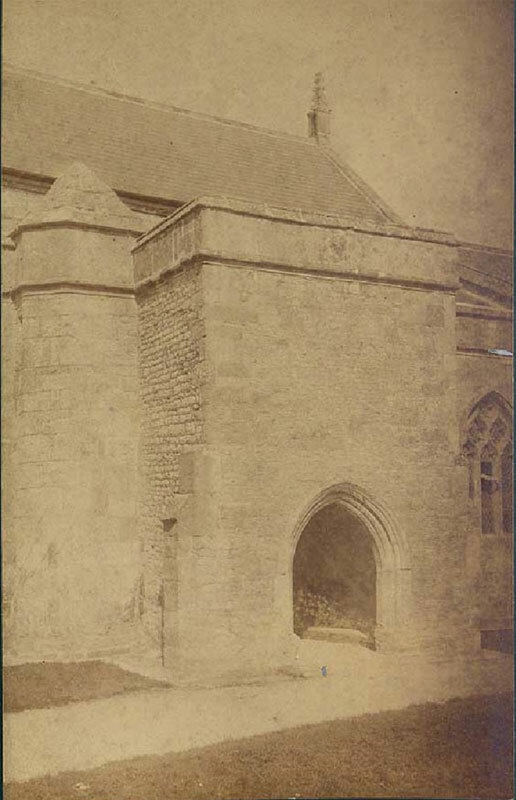 The south porch of Mere Parish Church in about 1897. Soon after this picture was taken a niche was made above the doorway. 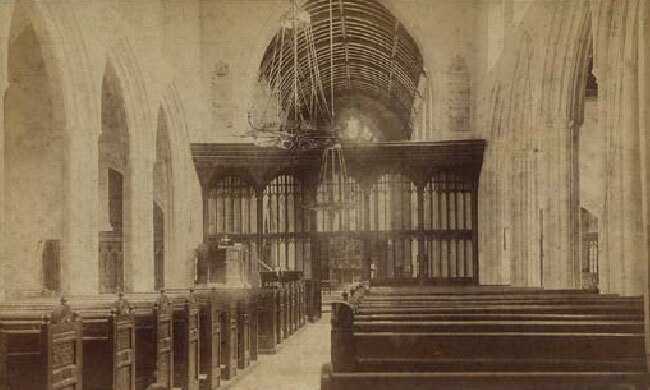 An interior view of Mere Parish Church c.1897. Note that there was then no gallery above the 15th-century screen. 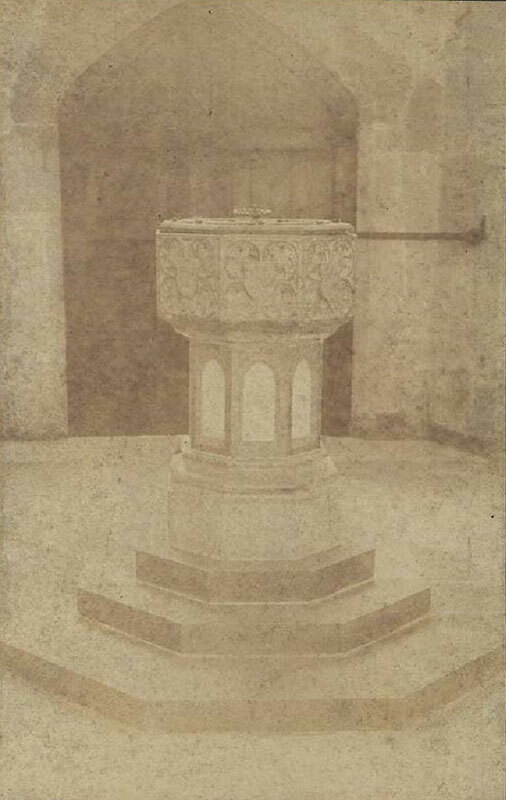 The font in Mere Parish Church when it stood by the west door. The date of its removal to its present position in the south aisle is unknown. 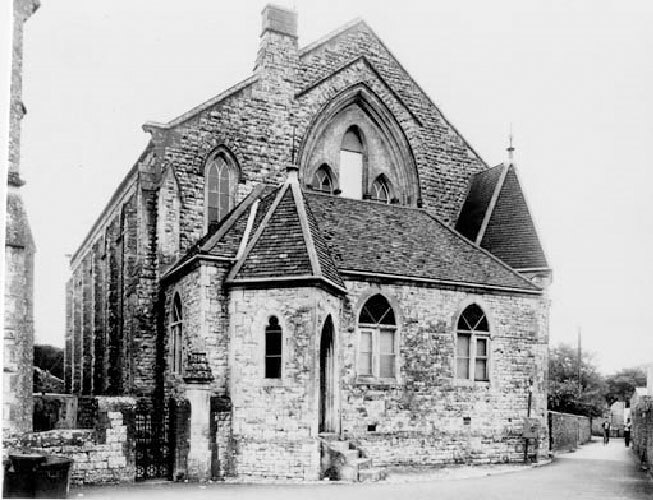 Formerly the Congregational Chapel, now the United Reformed Church, in Boar Street, Mere. It was built in 1868. 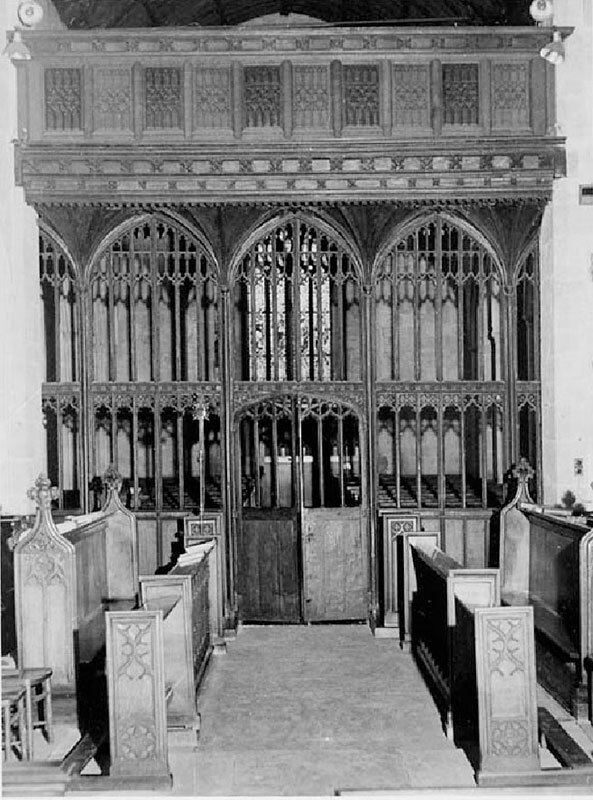 The 15th - century screen in Mere Church, looking west. The gallery above the screen was added in the 19th century. St. Matthew’s Mission Church, The Causeway, Mere, opened in 1882 to serve outlying communities. It finally closed in 2004 and is now privately owned. 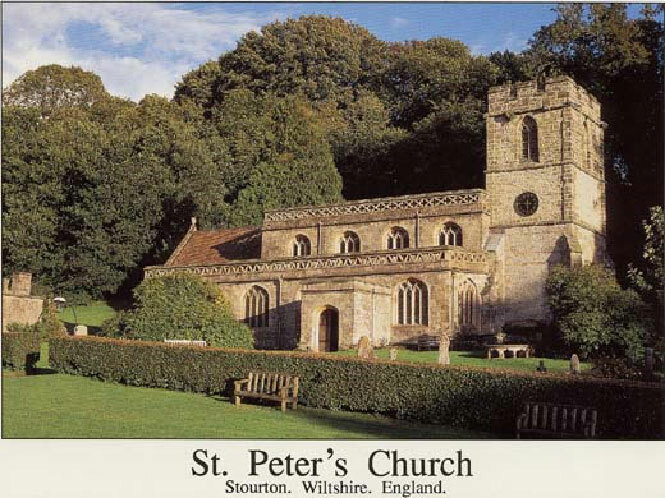 St. Peter’s Church, Stourton, in about 1995. St. Martin’s Church, Zeals. 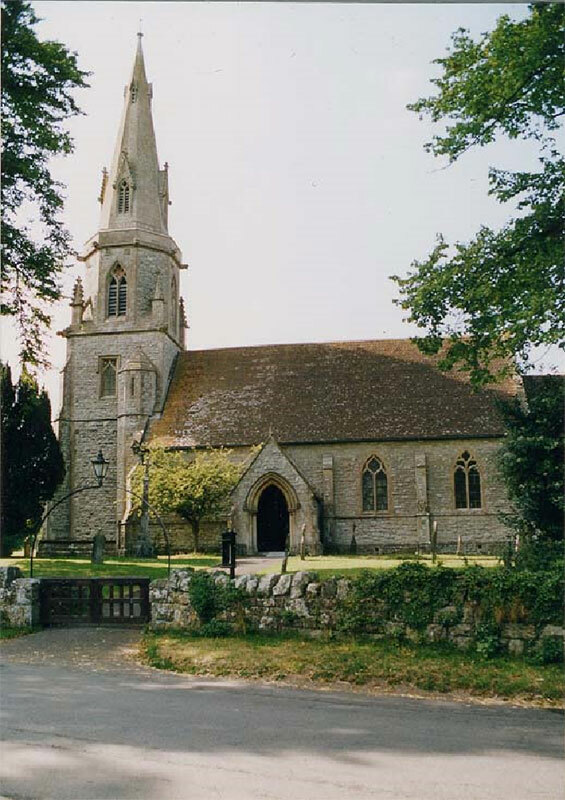 Until the mid 19th century Zeals was part of the parish of Mere. It is now part of the Upper Stour benefice.